Found this online – couldn’t resist – world’s biggest 72-hour emergency kit? Let me rewind for just a second. What is the purpose of a 72-hour emergency kit? The answer may be a bit different for everyone, but the general purpose is to provide emergency preparedness supplies to assist in your survival and well-being for several days or more during a time when you might need it. Some people refer to this kit as a bug-out bag, or BOB. The reality is that the differentiating lines get blurred, but that’s okay given that their purpose is generally similar. Note: The fun thing about any ‘survival kit’ is that you can tailor them to specific needs, specific scenarios, and specific methods of carry and travel. You might put a small lightweight kit together to easily carry during a day-hike. Perhaps a larger 72-hour kit that’s kept in you vehicle. You might also put together a BOB kept in a closet at home specifically for an emergency evac or bug-out. The sky’s the limit to your own intended uses. If you think in terms of prep categories, it might be easier to put it all together without forgetting something important. It might also make it easier to organize and pack in such a way that is more convenient. For example, the individual components of the fire-starter-kit within each of my overall kits are always kept in one place, pouch, or Ziploc bag within the kit itself. 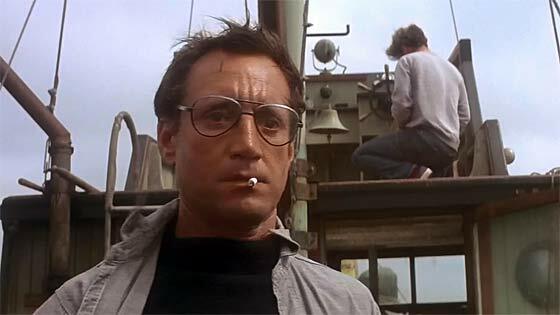 It’s easy to put ‘too much’ in a kit (we all want to have ‘everything’ that we might need) however it may get to the point where you’re going to say to yourself, “We’re gonna need a bigger boat” (one of the top all time movie moments – JAWS – loved that movie 😉 ). This can be the challenging part of building any survival kit – whittling it down to necessities vs. ‘wants’ if your space is limited. Although if kept in a vehicle you may have the ability to spread the kit around versus all being kept in a single bag or pack. Could I humbly suggest a cache of supplies (one is none…)at a trusted friends place and vice versa? Even a 40 gallon olive barrel with a screw top lid can hold a lot of useful stuff and not hard to conceal. Back Pack Prepping is not the best option IMHO. When I was US Army I travelled with a back pack BUT was backed up by constant resupply. With out supplies to go with the training your a refugee, not my favorite planning meme. Should we have a PLAN B article for the time when your plans get disrupted by a forest fire, flood, uniformed thugs confiscating for the “Common Good” or even heaven forbid a kitchen fire burning you out of your perfect prepper home? Each kit is supplemental to the others. No way you can carry 72 hours worth of STUFF in a standard-sized (i.e., “school sized”) backpack. I have one of those that is mainly clothes and water bottles. It has a few other things in it, but once packed with a complete change of clothes, first aid kit and hygiene kit there’s not much room for anything else. Then there’s the “car bag,” which doesn’t have clothes in it but is more of an emergency get-home bag–a pair of good shoes, socks, raincoat, emergency blanket, etc. It even has foraging books. The last is the big bag kept in the house–a full-sized backpack, fully loaded with everything EXCEPT the extra clothes. I structured it that way because if we had to leave I’d be carrying the big bag and Mom and Dad the small (light) ones. I need to work out a new system now that Mom’s graduated to a better place. I think most of us probably have multiple “Kits” dependant on where we keep them. I have a Bin in my truck with a variety of supplies that includes things like tools, work gloves and Boots wool Blanket Case of bottled water. As well I have a small school or work style backpack as my get home bag. Basically a change of clothes, some Datrex food bars, a lifestraw, emergency blanket, defense. I can supplement it with other supplies from the truck if I’m really on foot. I also really enjoy Bushcraft and more minimalist camping so I have several small kits based on that particular style of camping and survival. My “72 hour” bag, for me, is sort of a combination bag. It has the basic categories you want for 72 hours after a natural disaster, but as I also consider it a BoB I include important papers, ID, emergency funds, food gathering. Organizing is actually the hardest part for me. I use an internal frame backpack that is really just one large pocket and only 2 smaller pockets. So it is hard to really organize things. Fortunatly the front panel unzips so I can lay it down flat and get quick access. That’s how I fill it, but I tend to focus Just on what makes things Fit. Food for thought, good job Ken. In my feeble thinking, I find it extremely helpful to identify the different “categories of bags (EDC, GHB, BOB, Boom-Boom, Never–coming-back, Medical, So-On) as different “stages” of what’s “going on”. Is there a fire heading your way (emergency) or is someone hunting you, riots, civil war (Survival)? There is a LOT of difference. Being so; I will probably not have 500 rounds, that 308-AR10, a firearm clean kit, a few spare parts for firearm, a “backup firearm”, Israel Bandages, FLIR/Night-Vision, So-On in my BOB; these and more all need to be in the Boom-Boom bag; just as I’m not going to have 10 pair of underwear in the EDC bag. The same with the BOB, and NCH bags, these will contain different things that do not belong in and would just add weight to the GHB or…??? I believe one MUST decide, and make a concerted effort to envision what you will need and at what time in a SHTF. No differently in the categories inside the bag, as Ken mentioned, are you building a fire, than grab that “kit” inside the bag and go for it. Make a list and build the EDC (example; a firearm with 2 extra mags), AND follow Kens lead and categorize the items in there. Than move to the GHB (example; 2 more mags, you already have the firearm and two mags), do the same; decide what you’ll need to get yar azz home and build that bag (probably won’t need that 50CAL BMG in the GHB). Try not to duplicate the previous items. Yes Yes Yes I know “2 is 1, 1 is none”. But it would be very easy to make that 60 pound GHB into a 120 pounder…. (see Photo). I have the EDC,GHB,BoB as well as a large medical kit aside from the smaller kits in each bag. My next project is to build up a Boom-Boom bag as you call it. It is amazing just how MANY bags one can put together, but I agree with you. You shouldn’t be relying on one catch all bag. You may Grab more than one bag, but different situations call for different tools. Building such bags may sound crazy to most, but in an emergency AKA fire/flood/earthquake/so-on, they sure make sense…..
Back to Katrina, remember seeing the long LONG lines of traffic leaving AND those that could not get out and died, sure would be nice to be in front of that debacle because ya were organized. I personally have every intensions of Bugging-In, BUT, there are thousands of reasons ya may have to skedaddle if need be. Hence it’s called “being prepared”. Heh, That’s what puts the BOOM in Boom-Boom. With so many different event possibilities it makes sense. I live in an apartment building in a small city, about an hour from a much larger city so bugging in is the plan for things like storms or flooding, while out is the plan for other events. The area is fairly geologically stable but you never can tell what might happen. Something i was just considering , I am moving to a new apartment and was sorting things. I have half a dozen old backpacks or messenger bags sitting in closet spaces. That could be 6 small emergency kits that i have squirreled away. So that’s likely to be what happens to them now. You mentioned one emergency kit for the people in a vehicle and included pet supplies, but you also need emergency kit for the vehicle or what ever breaks down that you use to travel, to bug out, or need transportation for emergencies. In this category I have some wrenches screwdrivers, a jack, tire iron, water, antifreeze, inner tube rubber parts, clamps, maps, jump cables, spare tire, tire inflator, rags, and reflectors. You take with you what usually breaks down on a vehicle—a hose leak, a flat tire, and overheated radiator. There may not be any service and tow trucks available when it happens, as I found out many times. @Stardust, your mention of a tire iron caused a brain cell to light up; I’ve added lug nut cross wrenches to my vehicles. I think the tire iron to is useful for doing “el kabongs” (to quote Quick Draw McGraw and be non-PC)but not so much loosening wheel lug nuts. I have bent tire irons trying to loosen wheel lug nuts, or rounded off the lug nut. As an ex-mechanic we used pneumatic wrenches to tighten lug nuts and them torqued each one; I’m not the Hulk so a cross wrench helps. Least I can stomp on it, or use a pipe as a breaker bar, I have broken wheel lug studs when trying to loosen them. If you can’t get road service, or visit a shop, the cross wrench might save the day. And yes, when the nightmare customer visited the shop, the pneumatic wrench was turned up to max tightening the lug nuts, passive/aggressive I guess. If you have more than you can carry consider a folding baby stroller, one with big wheels. This will help disguise your pack and give you the ability to carry more heavy items like water. good idea. And thesedays, there are all sorts of baby strollers. I have seen folks out with some rather sturdy/roomy “jogging strollers”…not sure, but they might take a bit less room/be a bit sturdier. Since there seems to be thread of California self-depreciating humor, do the baby carriages come with a warning label that states “Do not fold the baby carriage while a baby is in the carriage”? Disclaimer: I am not from California, I don’t hate Californians, in fact I like their independent spirit. Although there is a warning on wash basins that says “check for baby before throwing out the bath water”. I can’t believe I actually said that…. HAHAHA Sorry Ken, I’ll start behaving myself……. PS; I love California, the way it was back in the 60-70s….. What happened? @NRP, yes I know, a bad man am I.
I apologize to any offended Californians! LOL to all of the CA comments. I’m from CA and left for good in 91″ What the heck happened out there??? It’s a nightmare. As for an “independant” spirit; not so sure about that. It’s a real mixture. The further you get from the cities, the better it is. Just sayin’. A beautiful place for sure. I feel safer where I am now; Appalachia. Sure love all of the comments. Been checking this site daily for advise and encouragement. We can not travel long distances yet, so at the present time we two bags for him. Storing it in the vehicle & have room for shopping one has to be creative. have coloured “roll ups”, and pack each “category” in a different coloured “roll up”..
that way in an emergency, you don’t have to paw through everything, etc..
Like that idea, sounds like something I might be able to use for dh. Thanks for the tip. was thinking, that if one couldn’t find/didn’t want to purchase coloured bags (say they already had uni color bags), some type of coloured elastic system would work too. At a dollar store, can buy packs of coloured elastics, or packs of women’s hair stretchy ties. Late to the Party, I’ve been traveling for the last 5 days… But the Color coding each “kit” within the 72 hour bag is a real plus. I use Dry sacks (like these Outdoor Products 3-Pack Ultimate Dry Sack ) to keep things organized and dry in the bag. Another thought is placement. I always choose bags with hip pouches. Fire and light is always in the pouch on the left side. Cutting, cord and repair materials on the right. Organization is key in an emergency. I could so resemble that first picture. My biggest problem is whittling down to the decided “necessities”! I use ultra lite stuff sacks and or small dry sacks to keep things categorized and separated. I have separate bags inside my pack for fire starting, cooking; two for medical, one for general injuries, and one for more major omg trauma; one for food, etc. The only other category I would add, and I guess it could fall under tools, would be our climbing stuff. Even if we didn’t need it to get out of our back yard (which we do) around here it isn’t safe to leave your packs with food laying around, so we have to have a way to hang them from predators. For us the purpose of our main 72hr packs is to have consolidated supplies to get us through for a couple days in the event of an emergency so we can make repairs, do damage control with minimal exposure or access to other supplies. I have learned to whittle down the necessities by forcing myself to wear my pack when I do the treadmill. That way, one, I get used to it, and two, I find that I could probably do without “something” or find a lighter version! I do think everyone’s 72hr pack, container, etc. is going to be different and should be since everyone’s situation is different, but I think the categories you listed Ken should, in some way be in all of them to be effective. Sometimes we need to remember that for home supplies too! The other day Hubby went looking for a bandaid, and says “We have everything in the world to fix a gunshot wound, but no bandaids? !” Whoops. I do love the success stories…… Can ya just think on no power till Monday? Or possible later???? Great Job, as I say quite often, TSHTF is not always and EMP type of event. Teens at night I wish. Monday I woke up to 5 below 0 and 10 MPH winds, Tuesday 10 below 0 and 20 mph winds, Wednesday 10 above 0 and 20 MPH winds, today 12 above 0 and reasonably calm. The night time lows are forecast to be 10 or lower till next Thursday and our highs around 28 – 32. While my house has a fireplace it’s more ornamental and couldn’t handle a fire necessary to heat the house so we are planning a wood stove for our lower part of the house and I have a Yukon Stove to put into my fireplace. Yukon Stoves are nice I spent many nights in a military 10 man tents in the winter to 70 below and was warm. You can burn everything from Kerosene, gasoline, used engine oil, wood or coal in them and you can cook on them. On field exercises in the winter we would trap rabbits and have a homemade rotisserie and would roast them wrapped with bacon swiped from the mess hall tent. You must be in my neck of the woods (Southeast Michigan). Had the same thing here, I’ve got power and my house has a backup generator so I’m good either way. I did have the winds take several shingles off my roof and at the neighbors. My neighbor and I spend the morning patching his and my roof, harder at 62 than it was at 20. I went to the the near by Lowe’s this morning to get some roof nails and there was one person there getting nails too, he also didn’t have power and was looking for a generator. I said its a bad time to get one when the power goes out because everyone else it doing the same thing. With it going back down in the twenties with snow tonight it pays to be prepared a head of time. I have thought about it and decided that we just can’t do a 72 hour bag. Neither one of us would be able to carry it. DH has back issues that the VA just doesn’t know what to do about. My recent disk issues prevent me from carrying anything too heavy. As it is, I will have to scale down our GHB to a more reasonable weight. So it will likely just have the bare essentials necessary to keep us going to get home. We do have prepared buckets to grab and throw in the vehicle if we ever need to evacuate. Otherwise we just plan on bugging-in. Ahhhh my friend, those ARE your 72 hour bag, nobody ever said ya had to walk or carry them, if the vehicle is still running…… I know sure as heck I would be evacuating an “emergence” (fire, flood, hurican, so-on) in my truck if I could, the HECK with that walking stuff, I’m to old for that if I can drive. @ NRP, yes I guess those are our 72 hour buckets. Never really thought of it like that. I guess whatever works. Peanut Gallery…how about a small wheeled suitcase? Some are very sturdy and lightweight. @ DJ5280, if I had a small wheeled suitcase, I would use it. However our suitcases are about 40+ years old, so no wheels. I can’t justify purchasing a wheeled suitcase at this time on the off chance we may need it. I will however keep my eyes open for a wheeled suitcase or stroller at tag sales. Both seem like good options. maybe get a large dog and train it to carry packs. I have a collapsible wheeled luggage carrier ($25 @ Sam’s, can carry 150#) in my vehicle. If there was time, and the situation allowed for it, could use it to carry my GHB and any other useful items that wouldn’t fit in the GHB, or that I found along the way. Worst case, I grab the bag and bail out of the vehicle on the run. Best case, there’s time to decide what else I have that might be useful and load up the carrier. I regularly drive 45 miles from home, so my GHB is for 3 days and weighs 21 pounds without water, which I keep separate until I actually need to use it. Years of backpacking has given me strong organizational skills for the pack. I’ve learned to keep the headlamp in the tiny pocket at the top of the pack so that I don’t have to dig for it when I need it. As twilight turns to darkness, my eyes adjust to the dimming light, and by the time I think I need the headlamp, it’s too dark to find anything in the pack without it. I need for it to always be in that one pocket so I don’t have to search! I use a stuff sack to keep everything in for the kitchen. Within that bag, there is a bag that has a small pot and stove and fuel, a large Ziploc for meals (each meal in its own bad), etc. Bags within bags keeps everything tidy and organized, which makes everything easy and fast to find. I do this with each category. (Good list by the way, Ken.) I pack the same way whether it is for a 7 day backpack or an overnight. Only the quantity of what I am carrying changes. There is also an art to where things go in the pack for weight distribution, comfort, and ease of access. Having a pack that is properly fitted makes all the difference in the world between being comfortable and miserable. There are lots of great articles out there about that, but the only way to truly know is to do it often. My gear closet is organized the same way – kitchen box, river box, climbing box ski box, bike box, first aid, repair kits, etc. That way I can effectively pack for any adventure very quickly, and customize my pack based on the specifics of the trip with all of the necessary crossover gear in each category. @skibum you are so organized *sigh* I really need to get better at this. Must not be discouraged! I would have a very long walk home and I am motivated to go through my bag tonight. Great post! It sounds as if you still live the mobile lifestyle. And it sounds like you use an internal frame backpack as I do. I still have my vintage Lowe Alpine Systems backpack from the 1980’s when I lived out of that thing. To Ken, I have found that skinny people do better with an internal frame backpack for heavy loads over long distances day after day. I had an external frame pack which always rubbed me raw in several places (bony prominences) . The good internal frame packs are not cheap but if they are fitted to you properly, they are the most comfortable way to carry heavy loads day after day. In 5 years of heavy use, I have had to replace the harness 2x. (hip belt, shoulder straps nylon webbing) There also comes a time when you cannot wash your own BO out of the thing. The strangest damage that has happened to the pack was when marmots chewed the shoulder straps in order to lick the salt off the fabric. The best way I found to clean my pack is to go into the shower with the empty pack and wash it with whatever deodorant soap you use and double rinse the thing before you set it out in the sunlight to air dry. Find what works for you. Back in the 1980’s the Lowe Alpine Systems backpack cost around $200.00. This was a lot of money for a GS-5 government employee. But, I used it almost every single day of my job so it paid for itself within 1 busy fire season. Happy packing ladies and gentlemen on this site. I work as an EMT. I carry one decent sized backpack every day. It covers as my work bag (medical supplies, change of clothes) as well as my EDC bag. Mylar tent, 3 days food with a few water pouches, life straw and such. I’m always armed with atleast my daily carry pistol with a few mags in my bag. always been a minimalist camper, so this has worked well for me. Everything in color coded waterproof roll bags. I can’t stop myself from stuffing my bag with too many weapons. I guess it’s a compulsion. 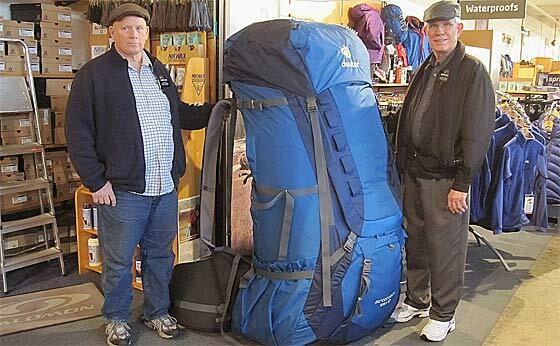 In the ultralight hiking movement the weight of your luggage system is honed to the minimum. With smaller kits such as get home bags, luggage weight can be a significant proportion of the total weight. Consider your bag + all of the organiser bags and containers that you put in it. You have to balance weight vs durability. Does the bag just get you back home, or does it have to survive for 3 days or for an unknown lifespan. My wife and I have “Alice Packs”, hers is the medium size and mine is the large size, we can carry enough in them to walk into the woods and survive with no problems. Each has a .22 caliber 4″ target model handgun, and an AR-7 survival rifle with 1050 rounds of ammo between the two of us. Also we each have collapsible fishing rods that close up to 18 inches. We carry 10 nylon reinforced emergency blankets with 500 feet of paracord. We have clothing in zip lok bags to keep it all dry. I take 2 x 4’s and cut them into 3 inch length and split into 1/4 inch size put into zip lok bags for fire starting. As others have stated, each person needs to know what they will need for short and long term usage. I hope to see and read other people’s ideas, making out bug out bags better.